Where can I purchase the Etsy Stealth and Easy account ? Afrer my US Etsy account got banned . I really want to get back to Etsy. but could not find clear guide (step by step) how to got multiple Etsy Stealth account . Is there a place I can buy Easy Stealth Ebook and Etsy account ?Can you guys help me please ? Re: Where can I purchase the Etsy Stealth and Easy account ? 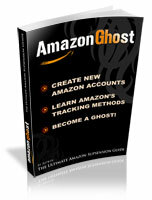 I think you dont have to buy etsy stealth account you can just apply ebay stealth guide to etsy. As far as I know from the forum One workaround for SSN requirement is creating etsy account in a paypal only country and use it. You can either use it in another country with VPN or you just tell etsy that you are moving to States. In the end you will able to use paypal only etsy account in US. Another way for SSN problem is using EIN. For details I recommend you to read stealth guide.